How can I settle hours when the widget will display on my website? 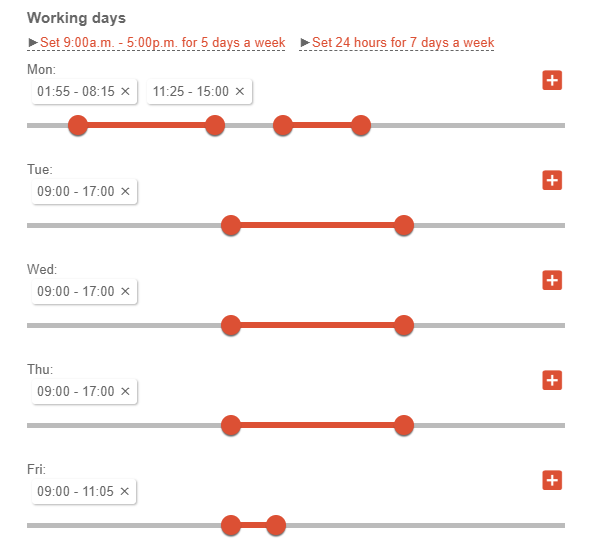 Widget displays during consultants’ working hours. You can settle office hours in Widgets >> Edit widget settings (pencil icon) >> Managers >> Call operators. Click the pencil icon next to Call operator, and the window with sliders will display so you can settle working hours. Please note that you are able to settle breaks too by clicking the plus icon next to slider.